Our residential products are aimed at complementing landscaping and keeping children and pets close to home. In a variety of style options including classic look aluminum, wood and chain linked fence we have the perfect fence for any residential application. Our Commercial & Industrial products are primarily used in high traffic areas, public facilities and large properties where aesthetics, security, and strength are most important to the property owner. 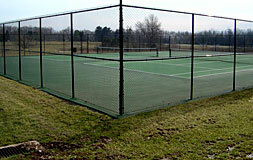 We offer chain linked or aluminum commercial & industrial fence products. 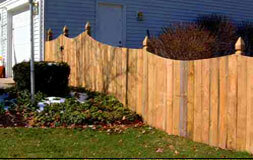 If you're a do-it-yourselfer looking to install your own fence or just looking for parts for ongoing maintenance, our sales assistance is unmatched! Stop into our store were an experienced installation professional will offer assistance with product selection and project planning. 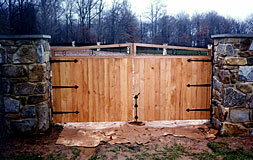 Copyright © 2007 Eagleville Fence Company, Inc.